ACCD has participated in the 3rd Conference of Arab Parliamentarians on Childhood Issues, organized by the League of Arab States (LAS) in cooperation with the Arab Parliament and the National Council for Childhood and Motherhood in Egypt, on the 31st of May 2016, at LAS's headquarters in Cairo. During the Conference, ACCD has presented its efforts in the field of Protection Policies, emphasizing that Arab child protection policies suffer from limited intervention, which often takes place after the harm or abuse has occurred, in addition to the weakness of the prevention systems and confronting harmful habits, or in the consistency and integration of the policies and practices related to children's affairs. 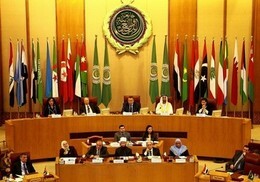 The studies conducted by ACCD, in its entirety, have emphasized the importance of raising awareness of the content of child rights as set out in the International Convention on the Rights of the Child, in addition to adopting a scientific vision that is based on a coherent and integrated implementation of human rights, in order to improve the content of Arab laws concerned with childhood and its programs. Protecting children's rights requires establishing an environment that better embraces them, in addition to upbringing them in a manner that protects their rights and provides them with security, protection and care.